The Trinity is your standard pub, nestled on the corner of Crown and Devonshire it’s always full of locals out for a pint. 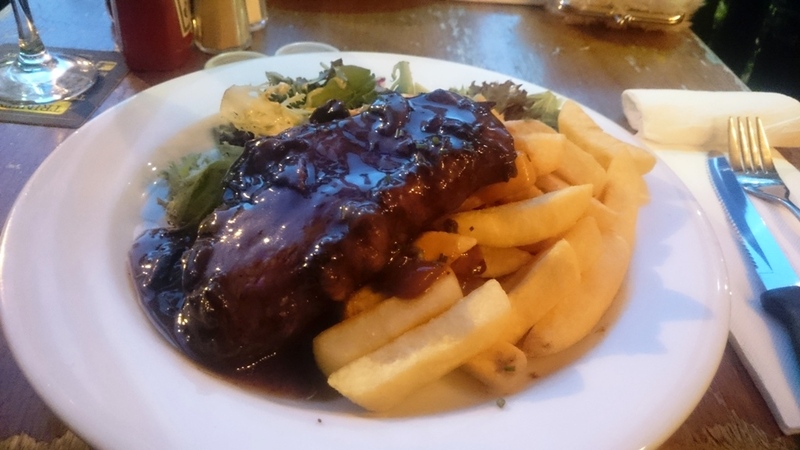 it was Monday and they had their I didn’t go in expecting too much, I ordered the Mondays Steak Special for $12.50; I assumed it was the same as the menu, a sirloin, 300g, with chips and salad, my preference was rare with mushroom sauce on the side.Fingers crossed it’s decent. It came out and looked good, two problems. I cut in the middle and check to see if cooked right and it was almost on point, perhaps a tad over rare. My first bite in and it was what I had expected. It was charred well and surprisingly tender but had a bit of gristle, the beef also had a light flavour. 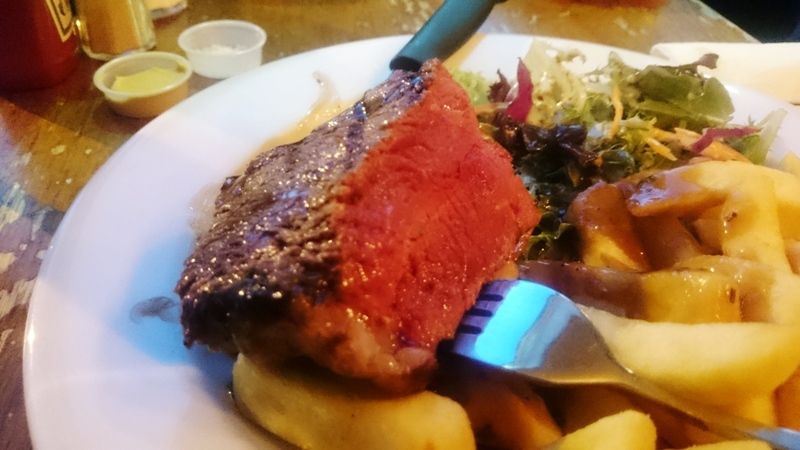 There are numerous steak specials around Surry Hills and The Trinity doesn’t do too badly. 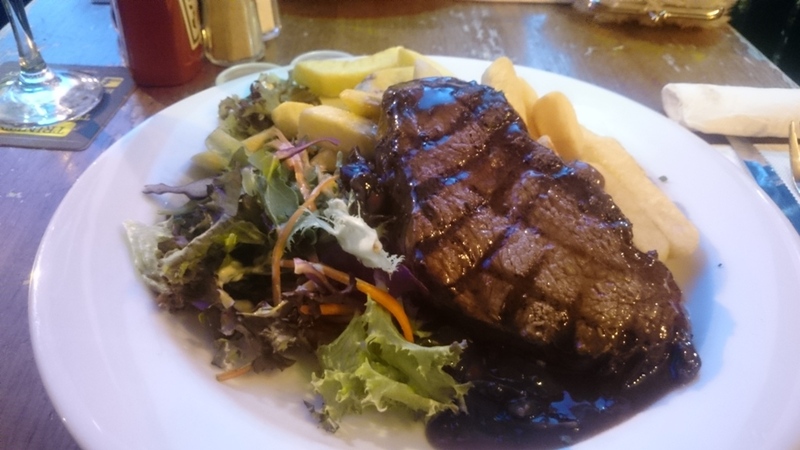 Posted on June 18, 2015 October 13, 2015 by AdrielPosted in Steak, SydneyTagged Sirloin, Steaks, Surry Hills, Sydney.